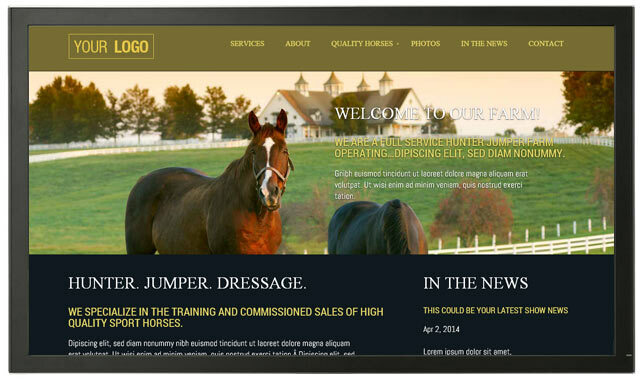 The Ideal Riding Stable Website Design Package! 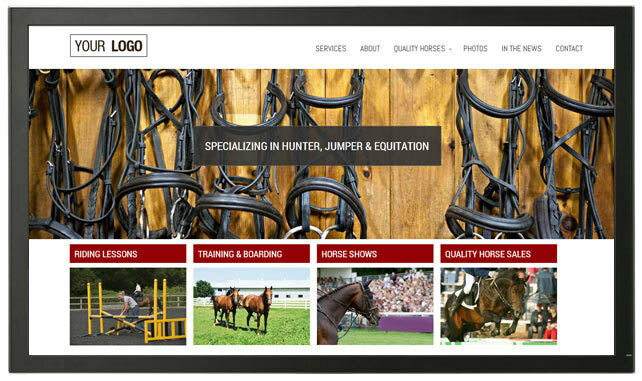 This riding stable website design package provides your business with a solid foundation from which you can build on. If you only require a select number of horse sales listings, pages and/or news items than this is the package for you! EQLite includes logo placement, application of business colours, choice of several layouts and 4 hours of design and development customization to tailor the website to your needs. 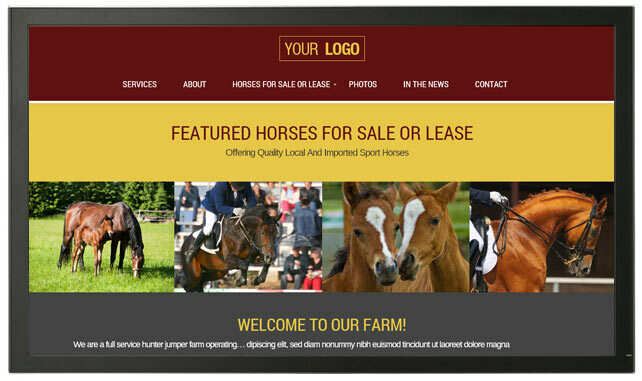 We will populate your website with up to 10 pages of content, 5 listings of horses for sale and/or lease and a photo gallery with up to 10 photos. Check Out Our Sample Layouts! Buy The EQLite Website Package! 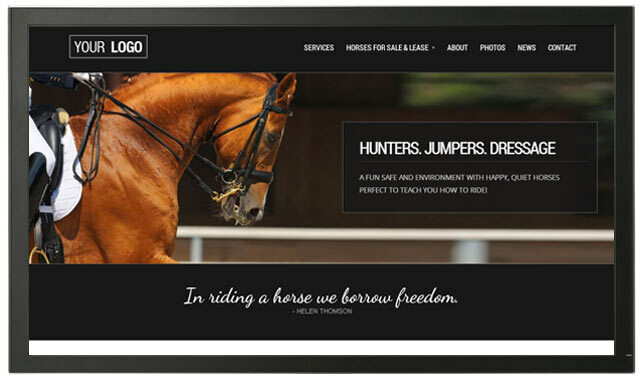 You’re just one step away from attracting new clients with a beautiful website for your stable. I want a new website NOW! Take a look at our comparison chart and choose which solution is best for you. This package includes a customized website design, up to 10 pages/posts, horse sales listings, video uploads, a news blog, photo gallery, a content editor, 5 free stock photography images and more! This package features everything included in the "EQBusiness" package PLUS 4 additional hours of customized design and development, up to 15 pages/posts, animated homepage slider and more! This package features EVERYTHING included in the "EQPro" package PLUS 8 additional hours of customized design and development, up to 20 pages/posts, contact forms and more!